I've heard good things about this flick. It's on my list. Well, here's the rose I made Saturday now that I finally cleaned it off. It's a bit rougher than the first one because I did it in one piece instead of multiples and it turns out that thin steel burns quite quickly so my petals became quite fragile very quickly. As the instructor for the first class said, the first time you try a project, you end up with an ashtray, but this is honestly a pretty terrible ashtray. It does look a bit rough, but(while I know nothing of the topic) I think there's promise there. Maybe it's just how I perceive things in general and how I'm attracted to them. To me, I'd rather have something simple, with basic forms, which convey the object, than something overly elaborate and fancy that is more of an exact replica. Well, I think I know what I need to fix. Basically, next time, I need to make the flat piece that was going into the petals fatter. I made this one too skinny and so when I put it in the forge, the nice little petals I did burned right off. And working with such a small rose was a lot more difficult because the standard scrolling tongs wouldn't fit between the layers so I had to use needle nose pliers instead. I also think it might work better with square stock instead of round stock. But that's also kinda just my preference because I'm not really a fan of round stock for most things. Maybe do it where people will actually read it. These days spam is as much about search engine optimisation as it is about catching unsuspecting users. Pretty soon it'll be robots manipulating robots all the way down. it's spambots all the way down! In this case, try this. 'Tis one of the finest pirate hook hands that I've ever seen. Say what you? That's not what you were aiming for? Well then, that only makes it all the more impressive. 'Tis one of the finest pirate hook hands that I've ever seen. Say what you? That's not what you were aiming for? Well then, that only makes it all the more impressive. Now that I look at it, it does look like a pirate hook. Yip. My peepers are very observant . They deserve a medal. Shove a ragged metallic badge of honour up into my cornea , why don't you? You mean a pirate's eyepatch, right? Does anyone think that if we say his name, he might appear. That's how the elder gods work, right? You say their name and they promptly appear, spitting brimstone, fire, hatred and skinned puppies. Pretty sure that's how it works. Polly says yes. I daren't argue with Polly, lest she peck my other eye out. Two eye patches ain't a good look, no matter the size of ya booty. Poor soul. He was just too high strung. Indeed sir. The last charge of Wyatt Earp and his immortals. My hypocrisy only goes so fahhhr. Ye Gods, what have I done?! I've summoned him and he's going to destroy us all! Run for the hills, people! Having said that, how's life treating you, Sir? You didn't even have to say my name three times in front of a mirror. 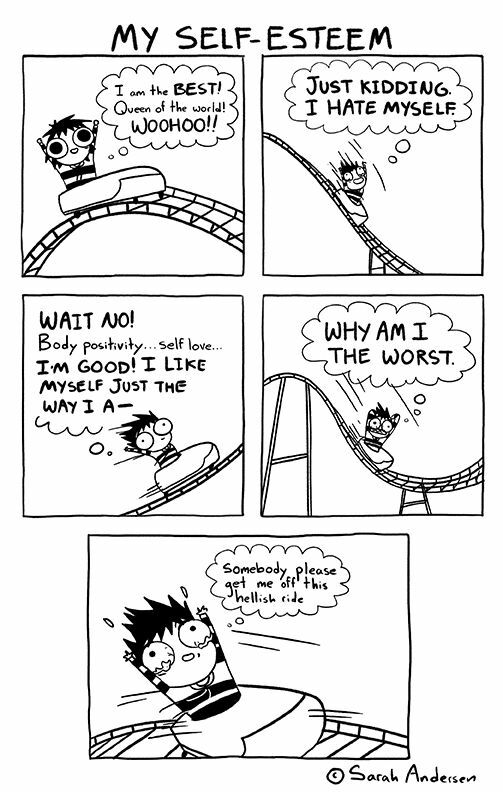 I am on a rollercoaster. I don't know where my life is going. My goodness! That made for quite the read. A "rollercoaster" is right, my friend. If I were a movie producer, I'd option a biopic of your life story, to be sure. Whatever direction fate deems to hurtle you towards next, I sincerely hope that the destination is a good one. You're a brilliant person. The world needs more people like you and you deserve to find true happiness and contentment, my man. I've got all 23 of my fingers and toes crossed, wishing you all the positivity and good karma in the world. By the way, I can relate to the emotional trauma and PTSD of which you speak. I'm currently in my own personal Hell and have been for the last 7 years. I'm doing everything I can to get out of the situation and should I ever manage to, then I'm going to write a lengthy post, detailing all of the egregious terror that is currently being directed towards me on a daily basis. Everyday is a constant struggle and I would have surely killed myself by now, if I weren't such an inherent coward. Must there be a reason for everything? Having seen the aftermath of a friend's suicide firsthand, it's not all it's cracked up to be. People talk about how much they miss you, how you're in a better place, and how they need money to cover up your pallid, gross corpse face. And then life moves on. So much better to stay alive and participate. Every day is a constant struggle, but on the other hand, we have music, movies, art, video games, and at least for now, science. You can go for a walk in the sunshine. You can go to the pub or have a nice meal. Kiss someone and get cooties, it's all open to you. There's a way out of every situation, even if the outcome isn't always ideal. I could have stayed in a marriage I hated, but I didn't. Could have stayed living with my parents, but I left and went to the big city with social anxiety and terror and then I fought to overcome it. Because suddenly I had no choice. This isn't some pull yourself up by the bootstraps talk. Sometimes you either give in and die or you do what you have to do. And I would rather be homeless than ever live with my family or ex-wife ever again. I made that choice. And a lot of homeless people are alright. I'm sure I could make some good friends with homeless people if I needed to. Whatever situation you're in you can get out of it. You just have to be willing to pay the price. I've paid for every decision I've made since I left home, and I'd pay it again because no matter how bad it gets I'm still better off than I was. And when life gets too scary I sleep. That's not a metaphor for suicide, I actually just go lie down for a few hours. Really, isn't life worth living so you can see the Shane Black Predator sequel that's an action comedy featuring a child character with magic autism?